Never worry about running out of your favorite gluten-free flour again. Once you understand how different types of flours work, you can easily substitute one for the other as long as you make adjustments along the way. 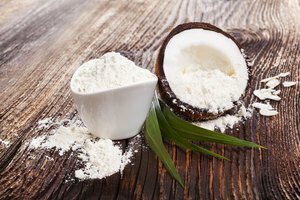 Coconut flour is packed with flavor and fiber, making it a versatile option as a gluten-free, low-carbohydrate flour. 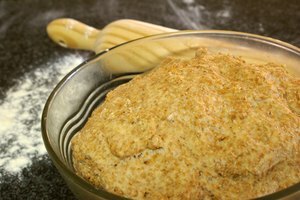 It adds a lighter texture than other nut flours but tends to absorb more liquid. For this reason, your recipe will likely require less liquid and eggs when you use a coconut flour substitute. All Purpose Blend: Combine 1/2 cup rice flour, 1/4 cup tapioca flour and 1/4 cup potato starch or cornstarch. High Protein Blend: Combine 1 1/2 cups white rice flour with 1 3/4 cups tapioca flour and 2 1/4 cups soy flour. Alternatively, combine 1 3/4 cups white rice flour with 1 1/4 cups tapioca flour, 1 3/4 cups soy flour and 1/2 cup of whey powder. 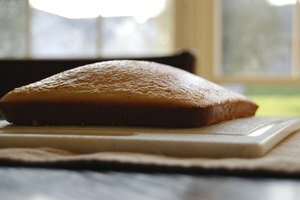 Because coconut flour soaks up more liquid than nearly any other type of flour, recipes that include it also include additional eggs and liquid to compensate for its absorbent nature. For example, you can use 1/4 to 1/3 cup of coconut flour as a substitute for 1 cup of all-purpose flour. Additionally, you need six beaten eggs and 1 cup of liquid for every 1 cup of coconut flour. Not all gluten-free and low-carbohydrate flours perform the same way, which means you typically need to adjust the eggs and liquids in any recipe that calls for coconut flour to compensate for the lower absorption rate of the substitute flour. Research recipes that use your chosen coconut flour substitute. Let that information guide you regarding the necessary amount of eggs and other liquids.